My first in-person consultation with my physician was on the Monday before Thanksgiving. At that time, I was weighed, measured and photographed, and I must admit that I felt a bit like I was being prepared for showing at the county fair. My physician asked me if I was at my highest weight, and although I had measured three pounds down from my very highest, I said yes, speaking generally. He told me that that is a red flag, and he would expect me to have lost weight before I came in for surgery, three weeks later. If I came back the same weight, or heavier, he would not perform surgery at that time. I immediately regretted not replying, "Oh, no, I was three pounds heavier earlier this month!" If you want to scare a fat person, tell them that they have a limited amount of time in which they must prove they have lost weight. My brain was screaming, "If I thought I could lose weight, I wouldn't be here!" I didn't worry about starting my pre-op, liver-shrinking diet until two weeks before my surgery, as recommended, which allowed me to eat normally on Thanksgiving later that week. Did I eat as much as I might have if didn't know I had to lose weight by the 16th? Nope. I was moderate in my choices, and gained no holiday pounds, thankfully. There is talk among the bariatric surgery community about "food funerals," opportunities to really eat those foods that you absolutely adore, but are terrible for you, before you may be unable to eat them again. I held no funerals. I didn't feel compelled. It wasn't an act of heroism, it was primarily a laser focus on my goal of being surgery ready by my surgery date. In the end, I needn't have worried about the doctor's warning. Once provided with the nutritionist's recommendations for a pre-op diet, created specifically to shrink a pre-fatty liver (which, as an obese person, I was already the proud owner of), I found that the pounds started to fall off. The first two days were tortuous: no sugar, no carbs, and no caffeine, all at once. I called the nutritionist in desperation, I was so hungry. She told me to go ahead and add a lot more lean carbohydrates and good fats. By day four, I had figured out a decent protein shake recipe, and was cruising along. In fact, about a week before the surgery, I started to have doubts about even moving forward with the operation. If I could lose weight so quickly, why would I get cut open? It was at this point I had a lot of tears, doubt, and self-examination. I began to remember that I have lost weight quickly like this many, many times before. In the end, I always ended up gaining the weight back, plus more. 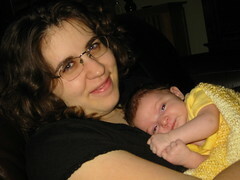 I sought reassurance from family, friends, and other gastric sleeve patients I had met online. I told myself, "If you show up that day, and it doesn't feel right, you don't have to have surgery," all while continuing to prepare. 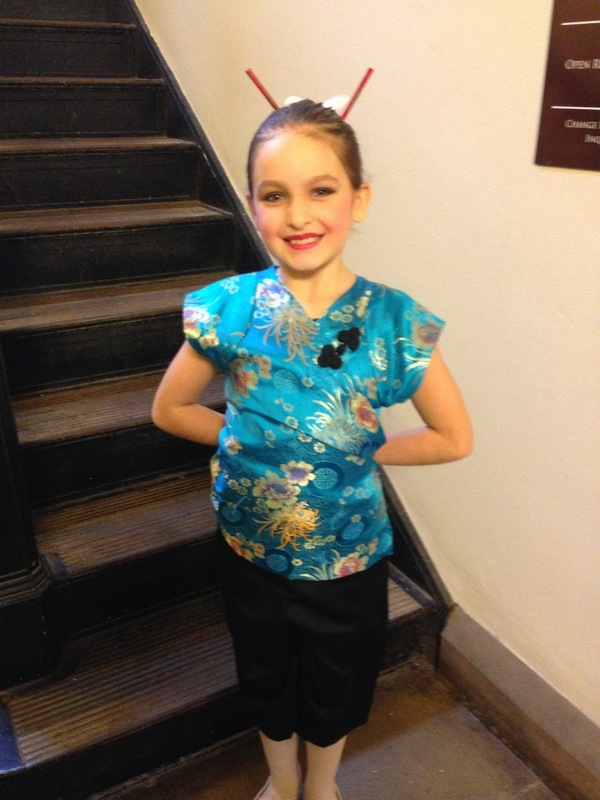 Thankfully, I was soon in the thick of our daughter's Nutcracker ballet performances—getting her ready, doing her super-sticky-will-not-fall bun several times a day, and volunteering in the front of house during performances we did not attend. It was exactly as I hoped: between being busy, hosting relatives coming into town to see EJ perform, and getting repeatedly covered in hair gel, I didn't have a moment to worry about the upcoming surgery. I mean, look at this kid—how could you worry about anything when you get to watch this kid dance, right? On the evening of Sunday the 14th, two days before surgery, I started to make piles of everything we needed to take with us to Michigan. A Magic Bullet blender, protein powder, sugar-free jellos and puddings, homemade broth frozen into ice cubes, the Aeropress coffee maker and Colectivo coffee (decaf for me, regular for Mike), GasX strips and Milk of Magnesia, bottles of grape-flavored Isopure clear liquid, and comfy pajamas and slippers for lounging around were all sorted, and various coolers and ice packs were set up for early morning packing. My folks had agreed to come with us for the surgery, which was a huge blessing. After I was discharged, they would return to Chicago with the kiddo, get her to school and activities, etc., then bring her (and our dog) up to their place in Wisconsin for a fun weekend with family, while I recuperated in Michigan with Mike, waiting for my one-week post-op appointment. It made our daughter very relieved to know that she could be at the hospital to visit me, and it made me very relieved to know my parents would be there for support. Early on Monday the 15th, we were all packed in two cars and heading out. Mike and I stopped for gas, while my folks went through the adjacent McDonald's drive through to get everyone but me some breakfast. As it was the day before surgery, I was on clear liquids, only, so I had a bottle of water and a bottle of Isopure for the road. EJ decided to go with her grandparents (smart kid), so I drove Mike and I there, knowing I wouldn't be able to drive for several weeks after surgery. We listened to an audiobook, chatted, and generally had a relaxing time. 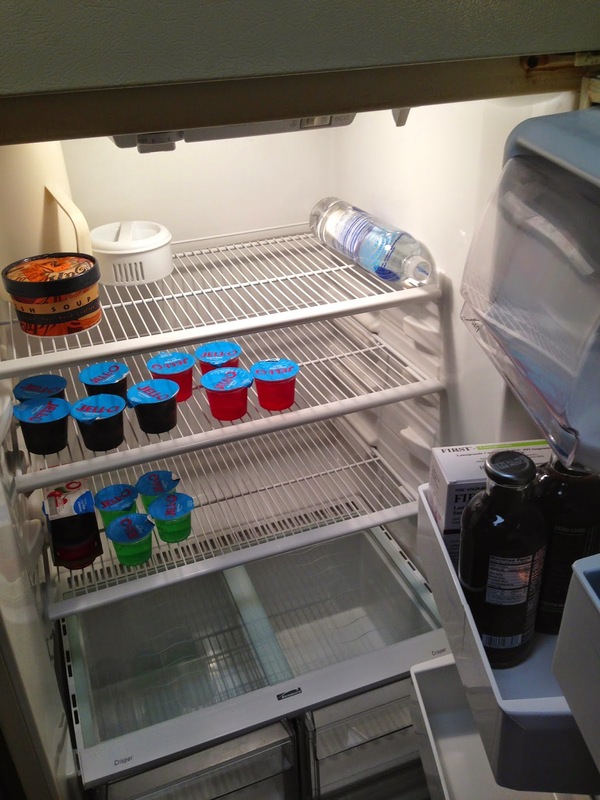 Once in Michigan, we checked into our Residence Inn, loaded up our mini-kitchen, then headed right to my pre-op appointment with Dr. Pleatman. Because I had come earlier, I did not need to attend nutritional or informational sessions with the staff, which were being held for other surgical patients that week. Mike met my doctor, though, and we discussed my concern about having the smallest recommended bougie (size 32) used for my surgery. In a gastric sleeve, a tube called a bougie (bougie means candle in French, to give you a visual) is placed down your throat and positioned in your stomach, making a guide for the staple line that removes your excess stomach. Dr. Pleatman favors the the smallest bougie recommended, a 32, in his procedures. I was worried about that, though, as I have had years of GERD, and a smaller-sized stomach is indicated in increased post-op acid reflux. Mike and I had read research stating that bougie size did not matter for long-term weight loss outcomes (comparing 32 to 40, and 32 to 36), but using smaller bougies could increase patient discomfort and short-term complications. After our appointment, I left, having agreed to the 32, but once in the car, I started crying. Even though the difference between a 32 and a 36 is only a matter of millimeters, I didn't want the smallest pouch. My doctor, who I trusted, felt it was best, based on his patient outcomes, but I just couldn't feel good about it. Mike and I drove to a nearby soup restaurant, where they painstakingly attempted to strain out all bits of vegetables from a broth for me, and I started to obsess about this issue. This was the absolute, most difficult moment for me in the pre-op process, and it was less than 24 hours before surgery. If I didn't trust my surgeon, I wouldn't have picked him; at the same, time my gut (metaphorically and physically) couldn't get on board. God bless my husband, who said, "Let's go back to the office right now," as soon as we finished lunch. We did. We asked to see the surgeon again, and even before I reiterated my concerns, he volunteered something like, "Why don't I just use a 36 bougie. It's fine. It's your stomach, you need to be happy with this." 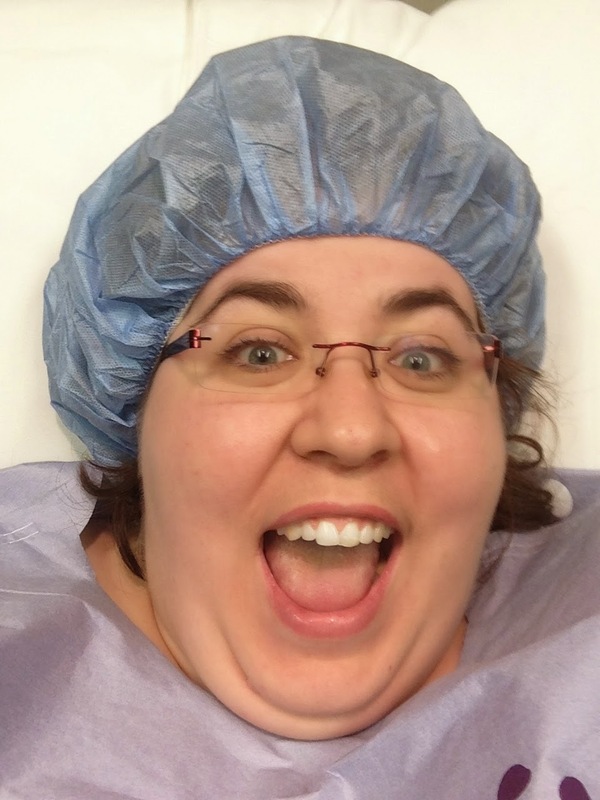 At that moment, I was completely relieved, and completely ready for surgery. I'm sure you could see the stress lift off my face. I knew I was doing the right thing, and had picked the right doctor. We went back to the hotel, where we rejoined my folks and kid. 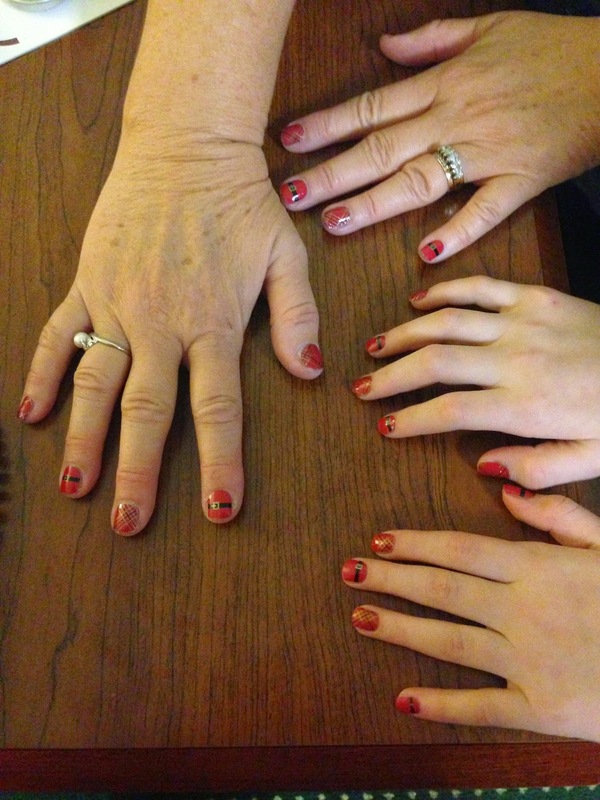 There was swimming in the pool, talking to friends on the phone wishing me well, and Christmas manicures for my mom and daughter with the new Jamberry nails I had purchased. Yes, I gave out manicures the night before surgery, and it was terrific! The family time was perfect, and it kept my mind off feeling hungry. I then did the (gross, unfortunate, necessary) Milk of Magnesia pre-surgery prep, let that do its work, and headed to bed. Before falling asleep, I had a mental conversation with my grandparents, who are deceased. Granddaddy was a doctor, and Grammy was a doctor's wife (so practically a doctor, as we all were repeatedly told.) I asked that, if they could come around tomorrow, be in the room with me, be with the doctors and nurses caring for me, I would really appreciate it. I woke up feeling calm and happy. My original surgery time was scheduled for mid-afternoon, but I had learned the day before at my appointment that it had been moved up, and I should plan to arrive at the hospital around 11:30 a.m. I had a lazy morning, not eating or drinking anything as requested, just hanging out with Mike and monitoring the comings and goings of our kiddo with my folks in the room across the hall. 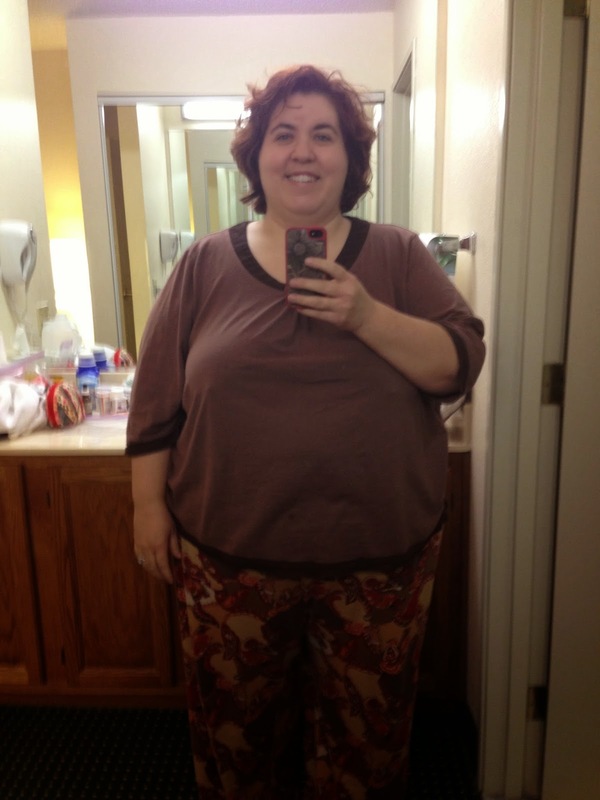 I took a photo of myself in my pajamas, for a last "before" picture. I got into the shower around 9:30 a.m., and it was at this time that we got the call that surgeries were running ahead of schedule, and I could arrive as soon as possible. With hair still wet, I kissed and hugged EJ and my dad goodbye, then Mom, Mike and I headed to the hospital. What happened next is a little bit of magic, if you ask me. 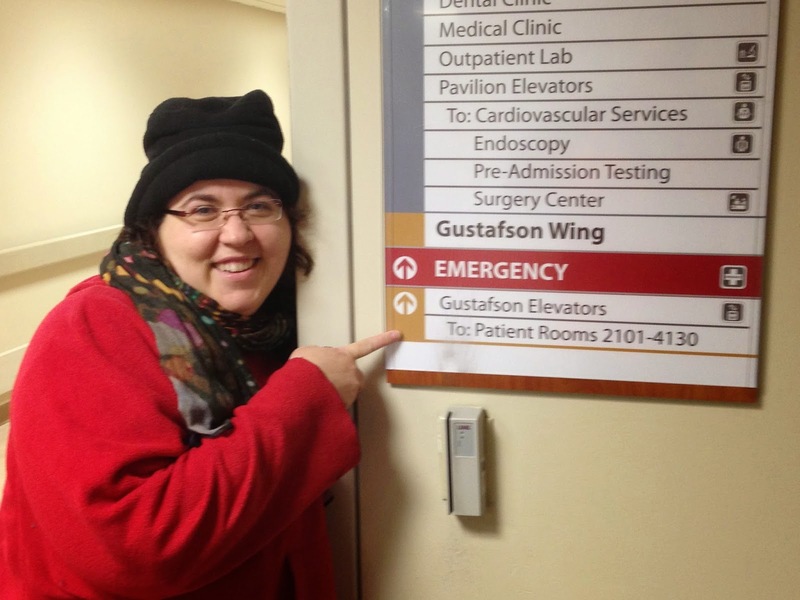 As we walked to the surgical wing, Mom and I noticed the name of the unit I would be on: Gustafson. Gustafson was my Grammy's maiden name. I had come all this way, picking this surgeon and hospital from options all over North America, and this is where I had ended up, in Grammy's wing. To me, this was just one more little confirmation that I was in the right place doing the right thing, although others might call it simply coincidence. I knew Grammy and Granddaddy were watching out for me. We stopped to take a picture on the way to check-in to honor the moment. Registration didn't take long, and before I knew it, I was in a gown being prepped. At this point, we realized that, in our haste to leave the hotel, I had forgotten my CPAP machine. Mike had to run back to get it—the hotel wasn't that far away, but I was worried he wouldn't make it in time for me to see him before getting wheeled back. That was my only worry before surgery, and it was a good distraction from any pre-op nervousness that could have formed. My surgeon came in to see me, and confirmed that he was using a 36 bougie. I thanked him. My nurses were terrific—the lady who weighed me said, "I know, this is everyone's least favorite part," but I was actually thrilled to see my before number right before surgery. As it turned out, I was 23 pounds down from my highest weight, 20 since starting the pre-op diet. Both nurses cheered with me, then a PA came in, heard my news from the nurses, and got on board with the encouragement. My IV was started, after I explained that the IV I had in my hand for Ellerie's birth had become swollen and painful, the nurse said, "I hate putting them in the hand, for that exact reason," then nearly painlessly put one into my forearm. Mike and Mom came back about ten minutes before I was wheeled into surgery, with plenty of time for us to share hugs, and for them to be there when the anesthesiologist walked me through what she would be doing to keep me asleep and comfortable. They also took a goofy pre-surgery photo for me—specifically requested by EJ—a tradition of ours starting back to when my dad had surgery a few years ago, and he posed in a silly way right before his anesthesia kicked in. Dad and Mom are better at it, as you can see here, but I did my best. Once wheeled back, I don't remember much. I remember seeing the surgical lights, which looked like a giant, glowing lotus flower. I also remember the nurses bragging about my progress to the surgical crew. According to Mike and Mom, a nurse came out 30 minutes later to tell them the surgery was going well, and a little after the hour mark, my surgeon came out and showed them my inflated, removed stomach (a test that shows that there are no leaks internally, which both of my anatomy-geek relatives loved), as well as the bougie he used. He also told them that I had done a great job shrinking up my liver on the pre-op diet, making the surgery easier to perform, as it was quite small. 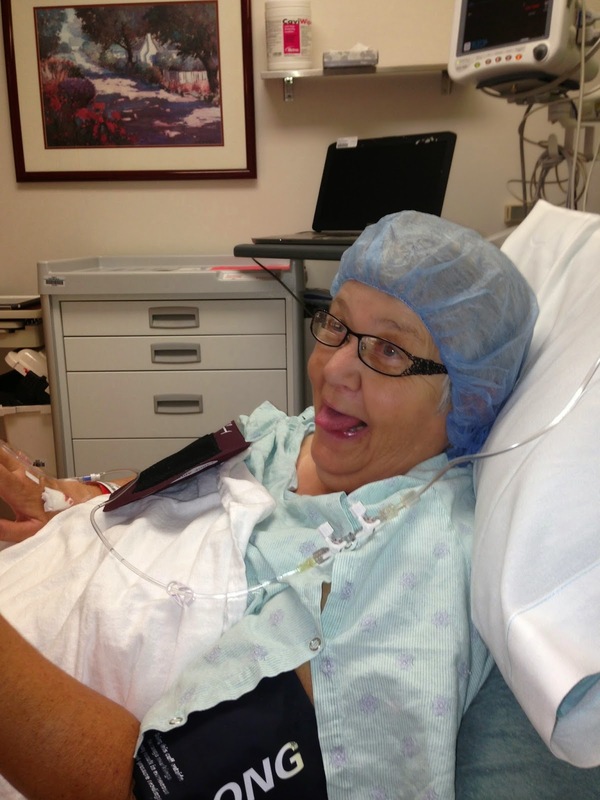 For my part, my first thoughts and feelings when awaking from surgery weren't quite as rosy. I had just been cut open, of course, so that is pretty reasonable. Want to hear more about it? Stay tuned for the final installment of my surgery re-cap, coming soon.